Nea Fokea. 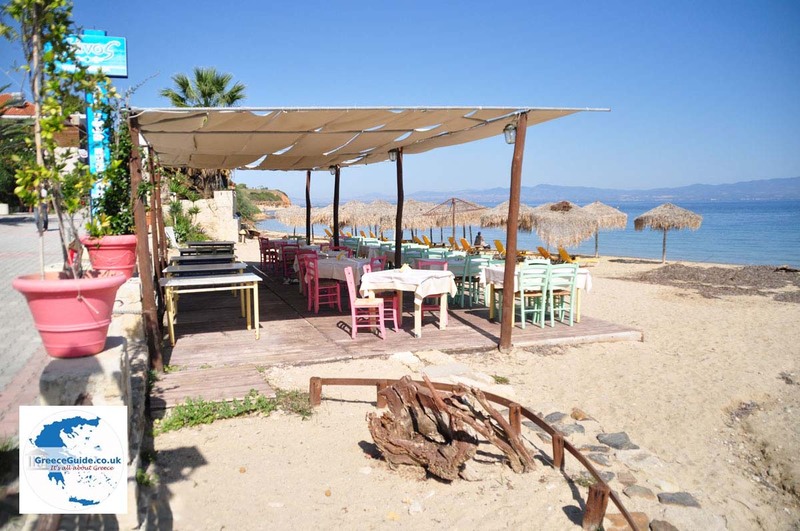 Nea Fokea is a coastal town on the eastern side of the Kassandra peninsula in the prefecture of Halkidiki. 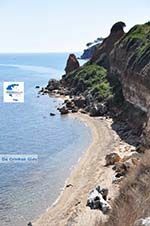 Nea Fokea is located 70 kilometers (43 miles) from Thessaloniki and 40 kilometers (25 mi) from the capital of Halkidiki Polygyros. 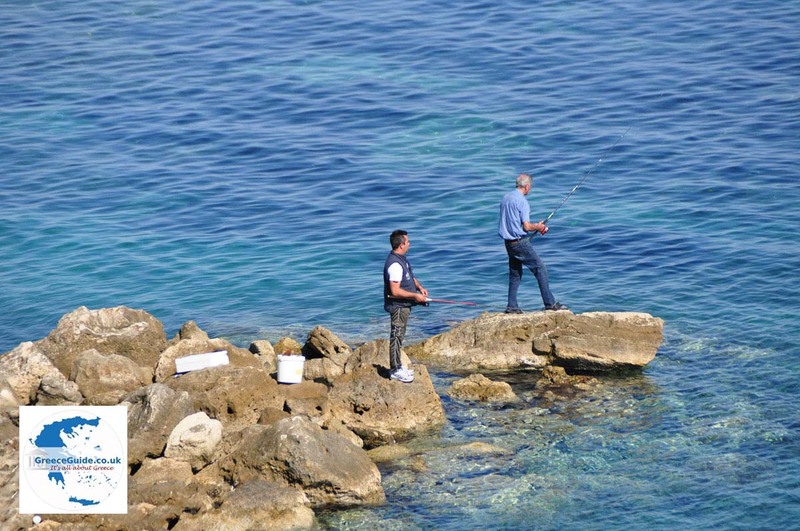 About 2,000 people reside in Nea Fokea, and are mainly engaged in tourism and fishing. 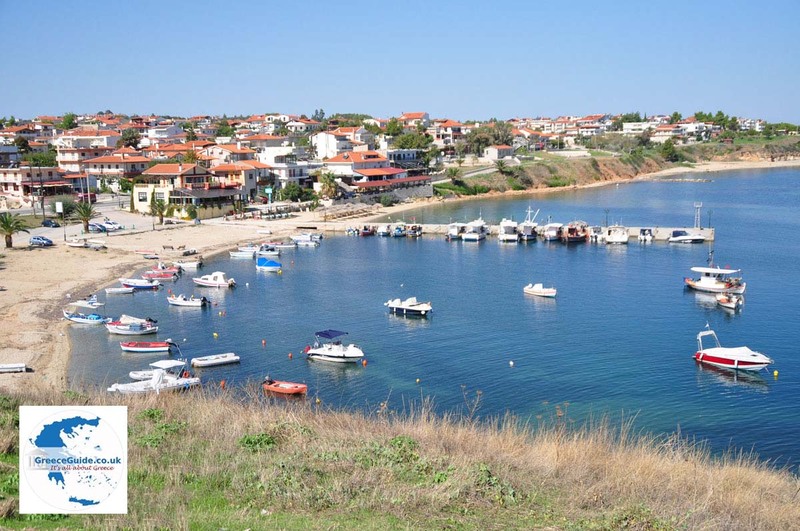 Nea Fokea was founded in 1922 by Greek refugees from Turkey who came to continue their lives. 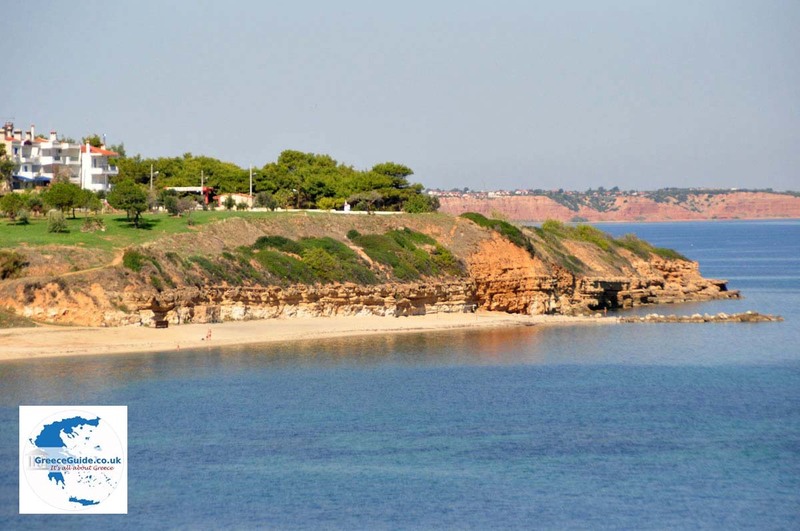 It is a beautiful village with small bays and beaches, surrounded by pine trees even close to the water. 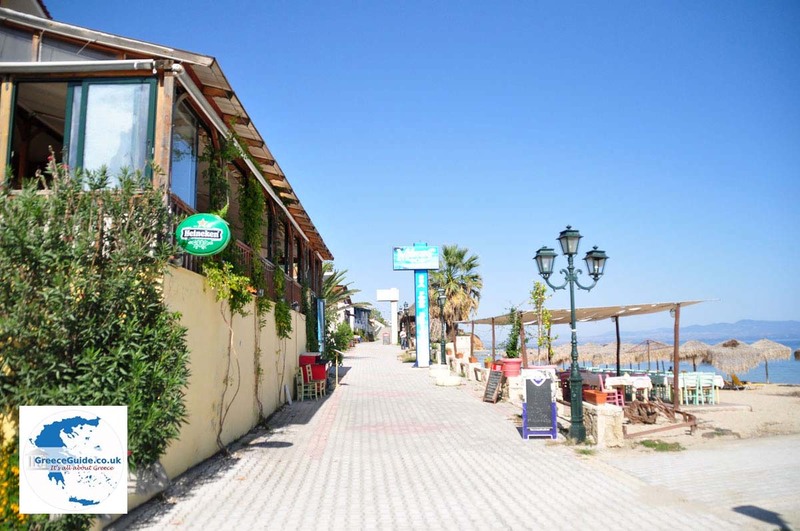 In the village are many taverns and traditional Greek cafés. 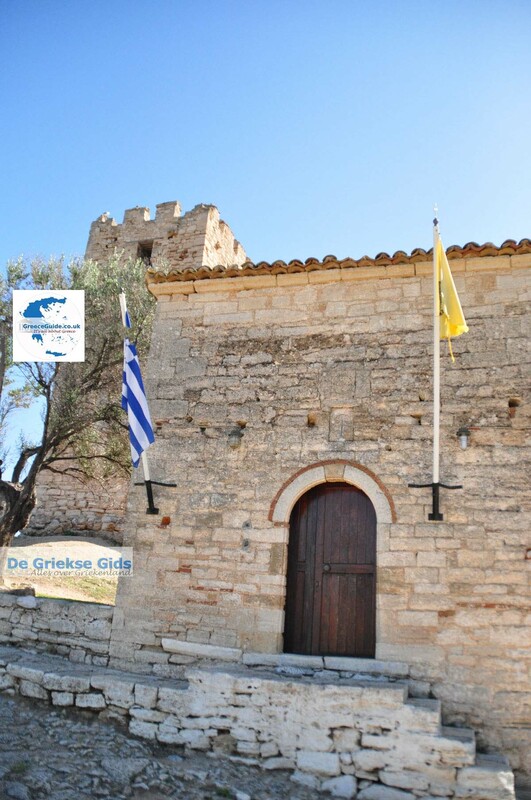 The Byzantine castle of Agios Pavlos is located in Nea Fokea. 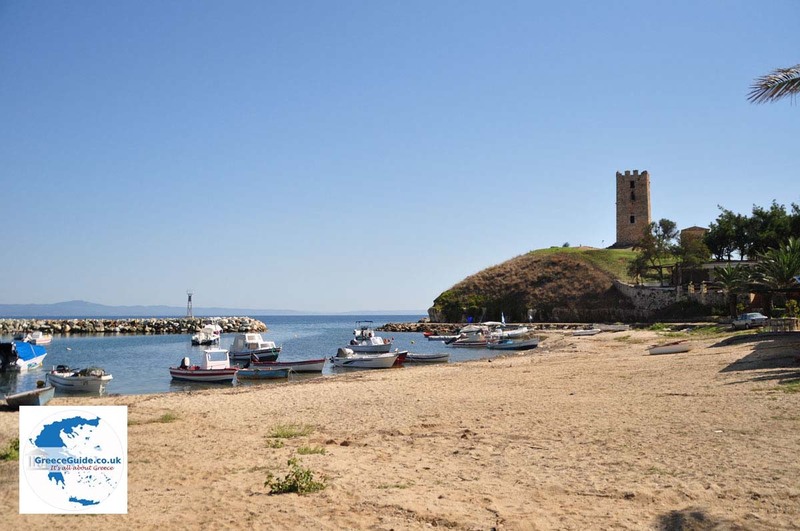 This castle was built in the Middle Ages to protect against pirate attacks. Before, exactly on the same place, there was a farm of a monastery. The name of the castle comes from Apostle Paul, who was here in the beginning of the first millennium. Every year, on June 29, there is a festival in honor of the Apostles Peter and Paul. 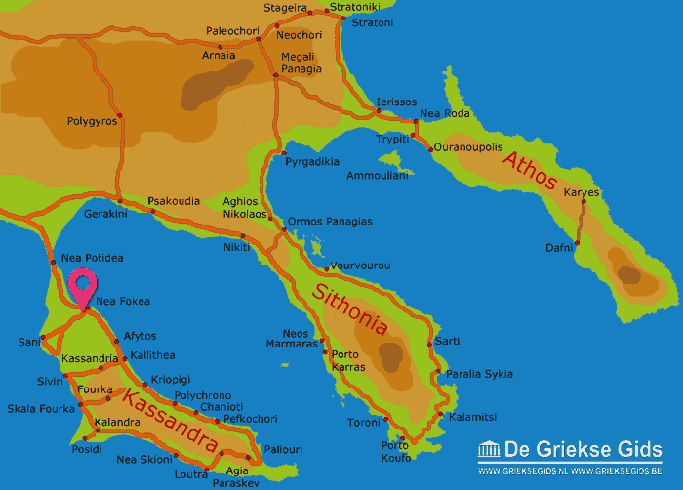 Halkidiki: Where on the map is Nea Fokea located?